A dream or a reality? What’s the difference? Taking place in what seems like the American planes many decades ago, allow us to introduce to you the Eyecon crafted slot: Shaman’s Dream. This is a 5 reel slot that is played out over 25 fixed pay-lines that’s main theme is a Native American slot. Thor Slots can’t recall there being too many slots centred around Native Americans, in-fact we can only recall playing various cowboy/western-themed slots that appeared to portray these Indians as the bad guys, when in reality they had their homes taken from them by Europeans many, many years ago; so it’s a very welcome change to see that the Indians finally get their turn to share their stories. Those who repeat history are most likely to repeat it, so learning about these things are important. There are a variety of additional features and gameplay elements that work alongside the theme that is on display here. All of these features work alongside the features in order to be as immersive for the player as possible, which is essentially what we look for in modern slots such as this one. Eyecon are quite the developer, and with this reputation comes anticipation for what comes next. 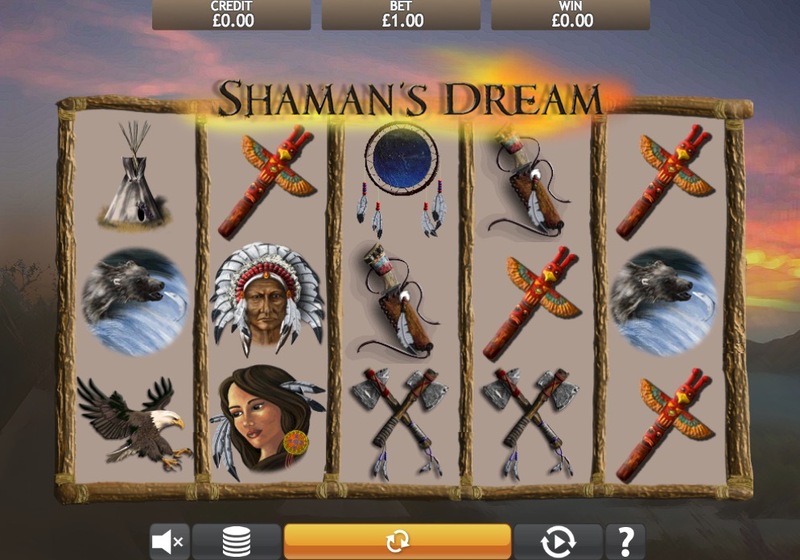 Shaman’s Dream is only another slot in their diverse quiver of slot games. 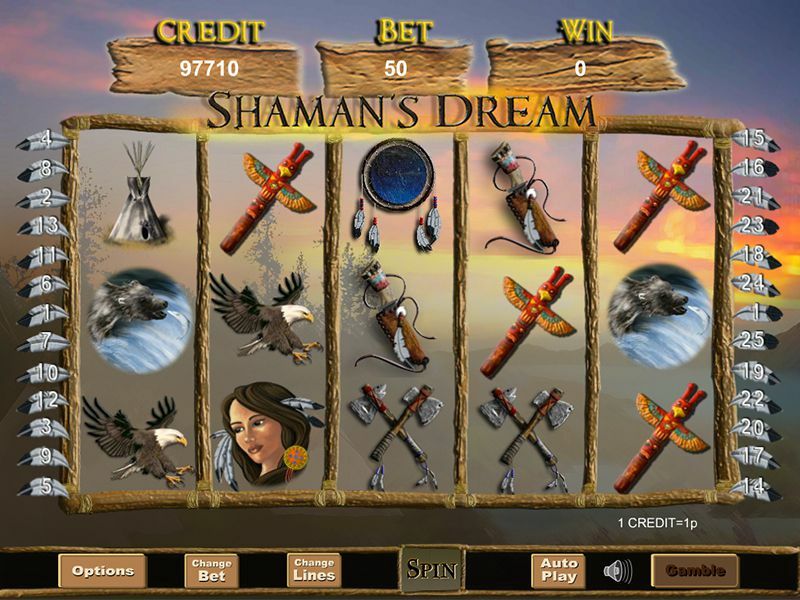 In-fact Shaman’s Dream is quite a popular slot, often featured on highest played slots on various websites. Not enough information for you? Be sure to check out the rest of our written review below to see if the Shaman’s Dream is not that of a nightmare. We didn’t really know what to expect going into Shaman’s dream as the name was quite ambiguous to begin with. What we were welcomed with was a very welcome change indeed, a slot that is dedicated to native Indians and native Indians only. The importance of slots like these is that it encourages players to go out of their way to learn more about history and cultures whilst at the same time being given financial incentives to keep spinning those reels. The reality of our expectations were well and truly surpassed, and when a slot manages to capture your imagination like Shaman’s Dream did, well it then sets the bar for other slots to play catch up and to stop re-hashing the same tired themes. The Shaman’s Dream is a very memorable one. This slot takes place over a sunset backdrop, the same backdrop that is somewhat out of focus which plays to the dream aspect of this slot. The sky is a mix of purples whites and pinks, with the silhouettes of mountains sitting just in-front, right begins the games board. This is somewhat of a realistic slot come to think of it, which might work towards a realistic effect that the developers have chosen purposely in order to again play to the theme and message. The symbols and game board are somewhat cartoon-esque although they lean more towards graphic-heavy rather than full on outlandish. All symbols in Shaman’s Dream are from a native Indian theme. Symbols here are matched from left to right, symbols include: a chief, white buffalo, totem poles, wigwams, bison, tomahawks and eagles. All of these symbols offer something different when it comes to scores, in order to increase scores players will be wanting to match as many of these symbols as possible in the same pay-line. Some of these symbols have hidden features too, features that will unravel themselves during standard gameplay. At the bottom of the screen will players find the various buttons that can be used to select bet amounts as well as other features that we’ll get too in a second. Shaman’s Dream is not without it’s additional features we’ll tell you that right now. These features will make this slot feel quite hectic at times, but don’t fret. In the online slot gaming world, the more chaotic the reels the higher your scores will inevitably be overall! AUTOPLAY: The auto play mode allows players to set a specific amount of games that they’d like to play off in the background during standard gameplay. This allows players to play hands free for as long as they would like. This feature can be stopped and started at anytime, making it very useful for people in a pinch. WILDS: Wolf symbols in Shaman’s Dream are the wilds, these symbols will substitute all symbols besides the scatter on the board, providing new opportunities for players to come out with bigger scores. These symbols reward players with quite a cash bonus too. 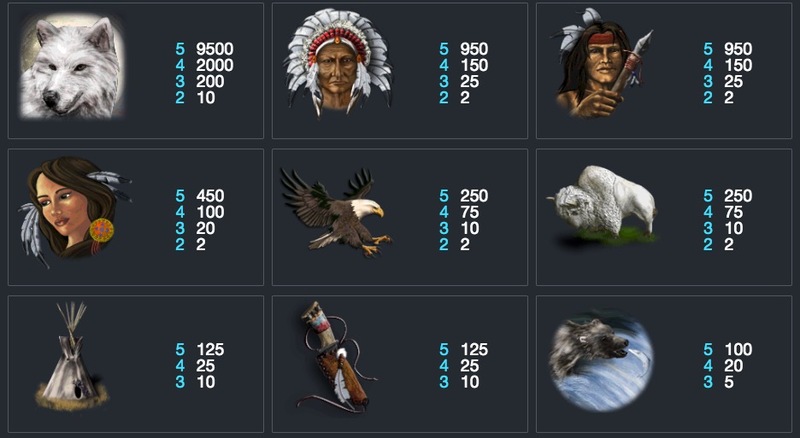 SCATTERS: Dream catcher symbols are this chosen slots scatter. Scatters will throw around symbols on the reels. Matching as little as 3 scatters will earn players up to 10 free spins which can provide players with additional scores at no extra cost. If you liked Shaman's Dream, why not try Enchanted Prince?